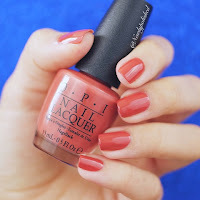 On Tuesday, we shared with you the new OPI Washington shades, now here's a great nail art tutorial you can do yourself using three of the colors! We love it! As the summer heat wears on, you skin is probably feeling the need for a little TLC right now. 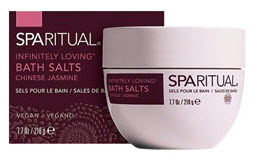 Just in time, Beauty Care Choices brings you the new "Infinitely Loving" line of skin care from Spa Ritual. Start with a long, indulgent bath! Light the fragrant Infinitely Loving Soy Candle. It will light up your surroundings with a blend of pure essential oils and carefully selected plant essences. Hand poured using recycled glass and 100% hemp, lead-free wicks for up to 50 hours of fragrant illumination. Sprinkle in some Infinitely Loving Bath Salts. They cleanse, soften and hydrate skin with a mineral-rich blend of locally harvested California Sea Salts, Dead Sea Salts, and Epsom Salts. Gently relieve your over-stressed skin and stimulate blood circulation. They will leave your skin feeling smoother and looking brighter. After the bath and while skin is still damp, smooth on Infinitely Loving Body Lotion. This is a light-textured lotion formulated with Avocado and Fair Trade Certified Organic Shea Butter and Certified Organic Olive and Soybean Oils. It calms and delivers the perfect amount of moisture. Great idea: have a new Mom or a Bride to Be? 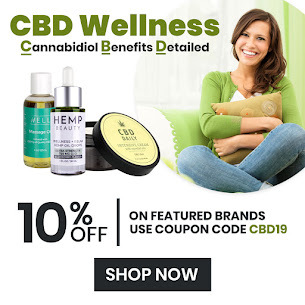 Order all three as the perfect gift and one they will really appreciate! 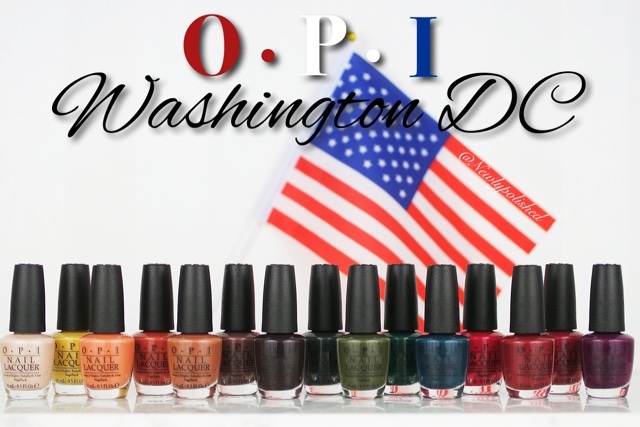 OPI has teamed up with Kerry Washington to create this collection and the colors are inspired by the great fashion houses. It contains 15 gorgeous creme polishes and all of the colors are perfect for autumn and winter. Three of them are limited edition - Kerry Blossom (purple shade), Inside the Isabelletway (a caramel color) and Liv in the Gray (a dark, really gorgeous grey). A couple of favorites in this collection for me! 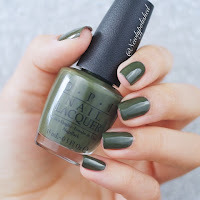 "Suzi - the First Lady of Nails" is a green-grey sort of military shade (I know I will wear this on Veteran's Day! - maybe with an American flag decal on each index finger??). The other is a dark copper shade called "Yank my Doodle". This extremely flattering color is one I will wear often - it's gorgeous yet soft enough to be subtle enough to be a "wear daily" shade. Beauty Care Choices now has all of these colors ready for you. (HINT: Click here, then sort by "new" to find all of these shades quickly.) What will your favorite(s) be. Leave a comment and tell us! Before you pluck those brows, read this for a perfect shape! Find the place where your brows should begin. Finding just the right spot for your inner brows to start is key to creating perfect brows, since starting too far in could throw off the balance of your face. Take a pencil or another long, thin instrument. Line it up from the corner of your eye to the edge of your nose. The place where the instrument overlaps your brow is where it should begin. Mark the spot by making a dot there with an eyeliner pencil. Repeat on the other side. Look straight ahead in the mirror. Line up the instrument with the outer edge of your nostril and the outer edge of your iris. The place where the instrument crosses your brow is where your arch should peak. Mark it with a dot using an eyeliner pencil. Repeat on the other side. Line up the instrument from the edge of your nostril to the outer corner of your eye. The place where the instrument crosses your outer brow is the place where it should end. Mark the spot with a dot using an eyeliner pencil. The size of your eyes. If your eyes are on the bigger side, thicker brows can help balance them out. If they're small, thick brows might overshadow them, so you'll want to choose a brow thickness that's slightly thinner. The size of your lips. A good general rule of thumb is that your eyebrows should be about the same thickness as your upper lip. This can help 'tie the look together'. If you look at pictures of models in magazines than you'll notice this is the case with many of them. The distance between your brows and your eyes. If you have a low brow bone that is set close to your eyes, you'll want to pull up your brows a bit to lighten the area. If you have a high brow line spaced well above your eyes, heavier brows might provide a more balanced look. Your style preferences. Sometimes thick, bushy eyebrows are in style, and sometimes more people prefer them to be thin and well-tailored. Think about what style you're going for before you dive into plucking your brows. Now you can pluck all those hairs that are outside the dots! 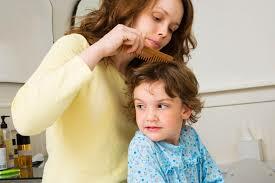 Use an eyebrow comb to brush the hairs up in the direction they grow. This makes it easier to figure out which hair's should be plucked. Take your time. 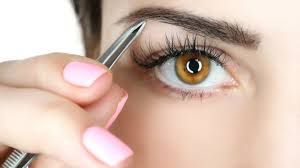 It takes six to eight weeks for eyebrow hair to grow back so you don't want to over-pluck! Do you need a change? Do you have a new style that requires different hair products? 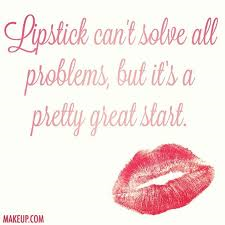 Are you looking for a new, great beauty product? 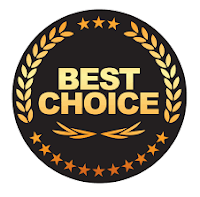 Beauty Care Choices now has your answers, all on one page! Called "The Best of 2016" this page lets you quickly explore the top selling shampoos, thermal products, hair repair masques, styling products and styling tools plus much more! So...take a look! 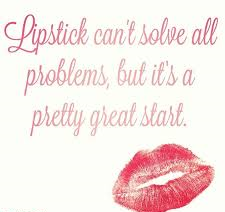 If you need it, we've got it when it comes to professional beauty care! Ever wonder why no matter which salon you go into, chances are you will see stylists using Kenra Platinum Spray. It has been rated #1 by the North American Hairstylists Association (NAHA) repeatedly! 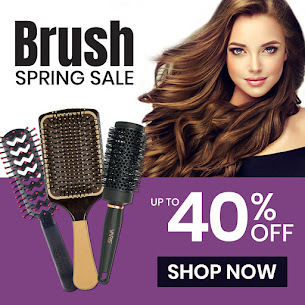 Kenra Classic and Kenra Professional Products are always reliable & reasonably priced. 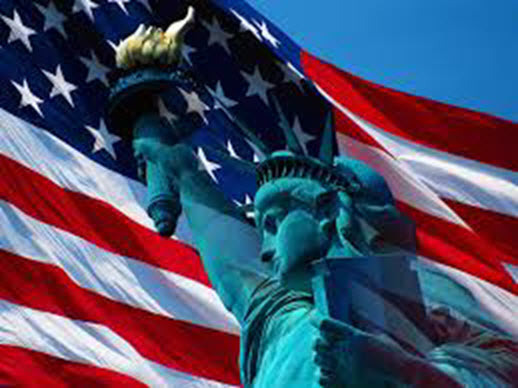 We selected the video below to share with you because, although it looks complicated, it is really simple to achieve. 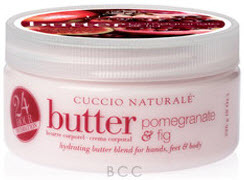 Cuccio Naturale introduces Five new Sea Salt Scrubs! Yummy! Papaya & Guava Nectar, Lemongrass & Lavender, Pomegranate & Fig, Milk & Honey and Tuscan Citrus & Herb. If you would like a luxurious spa experience at home, you have to try these. As skin is exfoliated and softened, your senses are indulged with fragrances that evoke some of natures most delightful scents. As with all scrubs, gently massage in a circular motion and then rinse! Cuccio Naturale! Obliphica Professional Hair Care....hummm...never heard of it? If your hair is faded, dry and looking tired, you may find your answer with these products. If your hair is fine, use the products in the orange packaging. Those with thick or coarse hair should select the products in the purple packaging. Age spots — also called liver spots and solar lentigines — are flat tan, brown or black spots. They vary in size and usually appear on the face, hands, shoulders and arms. Age spots are caused primarily by years of exposure to ultraviolet (UV) light from the sun. The use of commercial tanning lamps and tanning beds can also contribute to the development of age spots. The pigment in the upper layer of skin (epidermis) that gives your skin its normal color is called melanin. UV light accelerates the production of melanin, creating a tan that helps protect deeper layers of skin from UV rays. True age spots are harmless, however, if you are unsure about a spot on your skin, have it checked by your doctor. In the meantime, if you want to fade these spots, there are prod ucts that will help. Just be sure you have patience. You didn't develop these spots overnight (although it may seem so) and even a good fade cream will take 4-6 weeks to be effective. Below are three customers have found to be very effective. Cellex-C Fade Away Gel uses only natural chemicals and plant glycosides to lightens these spots. It can be used by everyone but those with the most sensitive skin. Another great serum, Clinical Cares, Go Spot Go, also uses botanicals to fade these spots, notably Licorice Extract, which has been shown to be even more effective than kojic acid! Last, but not least is gloTherapeutics Lightening Serum! It uses both lighteners and exfoliants to help you fade those spots! Extra Big Volume style for long hair that lasts ALL DAY or ALL NIGHT! The secret to adding some plump to your pout...use two different lip-liner pencils, one white and one deep pink (for fair skin) or mocha (for darker tones of skin). Start by creating a thin line with the white pencil over your cupid’s bow (the middle of your top lip), then blend into your top lip. Next, run a line of the darker pencil along the center of your bottom lip line. Blend that line into your bottom lip. Finish the look by applying a coat of gloss. To find the perfect eye-shadow color, use your hair color as a guide. Light blondes look stunning with eye shadow in berry, wine, cappuccino and mauve colors. More golden blondes look best in corals and peaches. A redhead or brunette’s best colors reflect shades of brown – such as brown-tinted reds, terra-cotta and cinnamon colors. TIP: When applying eye shadow, start with the boldest color. Apply that color to the entire eyelid. 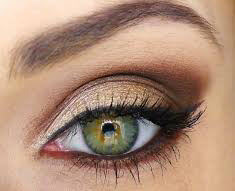 Next, apply the lighter shade to the area between the eyebrow and eyelid. Then, with your fingertips or a sponge, blend the two colors together for a gradient effect. For extra effect, apply a streak of white shadow just underneath the eyebrow. Liquid foundation. The most commonly used foundation, liquid foundation is best for dry skin; if you have oily skin, look for an oil-free formula. Cream foundation. Also good for dry skin; these formulas are somewhat heavy, so be sure to blend them thoroughly into your skin with a sponge. Compact foundation. This is an all-in-one foundation that even includes finishing powder; it also comes with its own application sponge. Stick foundation. The original type of foundation, this kind is best for skin with lots of blemishes. Tinted moisturizer. This cross between a moisturizer and a foundation is best for young, clear skin; it provides light skin coverage and can be blended into your skin with your fingertips rather than a sponge. 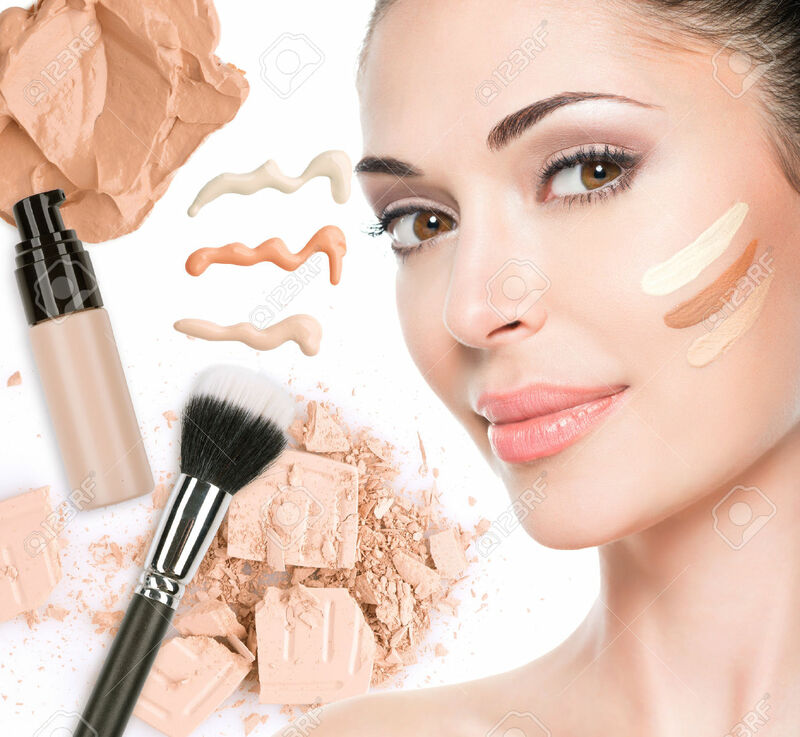 BeautyCareChoices.com has all formulas of foundation from top professional brands, including Jane Iredale, gloMineral, Mirabella, TIGI, Youngblood, Dermablend and Earthly Body. See them all!